Draft: 1997, Anaheim Angels, 1st rd. 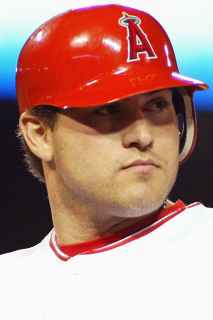 November 7, 2010 1B Troy Glaus elected free agency. September 2, 2010 Atlanta Braves activated 1B Troy Glaus from the 15-day disabled list. August 23, 2010 sent 3B Troy Glaus on a rehab assignment to Gwinnett Braves. January 5, 2010 Atlanta Braves signed free agent 1B Troy Glaus. November 5, 2009 3B Troy Glaus elected free agency. September 1, 2009 St. Louis Cardinals activated 3B Troy Glaus from the 15-day disabled list. August 15, 2009 sent 3B Troy Glaus on a rehab assignment to Memphis Redbirds. July 24, 2009 Memphis Redbirds sent 3B Troy Glaus on a rehab assignment to Springfield Cardinals. July 20, 2009 Troy Glaus assigned to Memphis Redbirds. July 11, 2009 sent 3B Troy Glaus on a rehab assignment to Palm Beach Cardinals.